In 2008, Summit Staffing was brought into a Chicago area 3rd Party Logistics firm’s warehouse to assist in the staffing of their International Electronics clients. The immediate need was for a handful of forklift operators, within two years, Summit Staffing grew to become the Primary staffing provider for this facility, and increased to staff another six facilities for the 3rd Party Logistics firms. 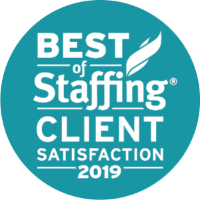 Summit Staffing’s continued success with this client is due to our ability to meet both last minutes demands, and increased volume during the client’s peak seasons which can balloon to over 300 associates a day. When a long-time client took a new position as Vice President of Operations at a large contract food packaging company in 2013, he inherited a complicated staffing situation that included 6 vendors, 400 temporary associates, constant labor shortages, almost daily issues with billing errors, lost time cards, incorrect employee paychecks, and numerous other headaches. One month before their peak season, Summit Staffing was asked to come evaluate the situation and make a recommendation for improvements. We identified one of their existing vendors who we felt we could develop an effective partnership with, and worked together to plan a complete overhaul of the clients staffing program. In three weeks Summit Staffing was able to replace the other five vendors, absorb almost 200 new associates, open an on-site office, and install a fully automated time keeping and billing system. The client saw a noticeable reduction in labor shortages, almost complete elimination of billing and payroll errors, and cost savings and a streamlined ordering process by reducing the number of vendors they used. Four years later Summit Staffing continues to be their primary temporary staffing supplier, and our relationship has continued to grow along with our client’s business.